There is no doubt that the quality of the products entered into the 2016 FreeFrom Food Awards has continued to improve. It is rare now that one meets a product which is obviously ‘free from’ anything; more often than not they are either indistinguishable from ‘normal’ products or, in many cases (batters for anything deep fried for example), they are better. The nutritional profile for freefrom foods in general has also continued to improve. This is not universal and there are areas (baked goods in particular) where the ingredients list remains scarily long and incomprehensible. But while this is understandable in bread products (making ‘normal’ bread without the benefit of wheat flour or gluten remains a manufacturing challenge which can rarely, if ever, be achieved without the help of some additives), it really is not excusable in cake and biscuits, especially if you are using eggs. Of course, using eggs is not to everyone’s liking but, unfortunately for those who are egg allergic, or who have children who are, there are relatively few of them compared to those wanting to avoid gluten or dairy. So proportionately fewer manufacturers are making efforts to exclude them. Moreover, eggs do contribute significantly to many of the products in which they are found so are more difficult to substitute. None the less, we were pleased to see that more manufacturers had obviously taken the problem on board and were excluding egg where possible. All too often, I fear, the same cannot be said for soya. It should be common knowledge amongst those making foods for people with allergies that around 30% of those who are dairy allergic/intolerant are also soya intolerant. So substituting soya for dairy every time really does not make sense, especially when there are now so many alternatives around. Even more frustrating for those with soya sensitivities are the number of companies who simply don’t think and replace soya lecithin with sunflower only to add dab of soya flour right at the end! Scrutinising of your ingredients’ list to make sure that you exclude any allergens which are not vital to the product is another area on which budding freefrom producers need to focus. As the freefrom market continues to grow and the definite trend towards cleaner products with fewer major allergens develops, they can seriously maximise their potential market by culling all unnecessary allergens from their products – and often improving the nutritional profile in the process. I love coconut and I think that the coconut products that have come onto the market over the last several of years are amazing – especially for those who are both dairy and soya sensitive. However, we are verging on coconut overkill at the moment. It would be an exaggeration say that 50% of this year’s entries to the awards were coconut based – but it did sometimes feel that way! Looking back, I see that labelling was an issue last year but it was far greater an issue this year and we actually had to disqualify a handful of entries because their labelling was not only bad but actually incorrect and therefore illegal. As Alex and I discussed a few weeks ago, now that we have very specific regulations that protect those wishing avoid certain foods we must stick to them. Approximate is not good enough – it only causes confusion. So ‘free from gluten’ when the specified term is ‘gluten-free’ is unacceptable; non-dairy when the agreed term for all milk-related products is ‘milk’ is not acceptable. This happened with a couple of ‘kits’ which included various different ingredients some of which were themselves part of a multi pack and had lost their outer sleeve and therefore their ingredients list. There were a horrible number of entries which did just this – made an allergen free claim and then put a warning for that very same allergen on the pack. The perceived need arises when the product does not include nuts/dairy/gluten/egg etc in the ingredients but is manufactured in a factory where these ingredients are used – although we have come across manufacturers who understand the issue of contamination so poorly that they will slap on a ‘may contain’ warning when the risk is so small as to be risible. It also happens when conscientious manufacturers are unable to verify all of their suppliers and therefore feel that they cannot make a ‘freefrom’ claim. The more helpful ones state this on pack and, depending the ingredient involved, the allergic consumer can then decide themselves whether or not to buy/eat the product. But, however understandable the warnings may be, it is frustrating in the extreme for the consumer who has no way of knowing whether the product is actually presenting them with a risk or not. It also gives out a very confusing message to that ever growing number of freefrom consumers who are not allergic but who are choosing to eat freefrom because they think it is better for the planet, healthier, kinder to animals etc. To them it just suggests that freefrom manufactures do not know what they are doing and are unable to control their productions lines – not a great way to build trust in your product! Obviously, the best solution (although it does not solve the supplier problem) is for freefrom products to be manufactured in dedicated nut/dairy/gluten/egg etc free facilities – and that is the way that many of them are going. But this is expensive and it is likely to be a long time yet before we get all freefrom products made in dedicated plants. The alternative is to impose the sort of very specific regulations that have now been imposed on ingredients labelling so that everyone knows where they stand. However, for all kinds of reasons that I will not go into here, that is not likely to happen in the immediate future. So the only option that remains is for the industry to come together to find an industry wide way to assess, measure and declare risk that is sensible and workable but still protects the consumer. Whether this is possible or not we are not sure – but we are working on it…. For more, see Allergen Safe.org. Meanwhile….. We feel that the best option for a manufacturer who does not make their products in a totally ‘freefrom’ dedicated facility is for them to state that ‘the factory also uses the relevant allergen’ or that the factory does not use the relevant allergen but that they cannot guarantee all of their suppliers. This still does not give any clear message about the degree of risk involved but is better that no message at all!! All that said, the quality, variety and inventiveness of the products entered this year was really remarkable – as you will all find out very soon as the shortlist will be published on Wednesday of next week! Check in to the the Awards site for more details on Wednesday 10th – Ash Wednesday – even though we hope that it will be a day of celebration, not of penance, for very many of our entrants! The wires have been, as you would expect, humming since the publication of the FreeFrom Food Awards shortlist on Wednesday. A few disappointments that judges had not found favourite products quite as irresistible as hoped but a great deal more joy as freefrom companies both new and old found that their products had indeed found favour! And now we are on to organising the party which will take place on the 16th April with our patron, Antony Worrall Thompson, presenting the prizes as usual. We already have prospective guests queuing at the door (well, queuing for tickets anyhow) so we anticipate a good turnout!! More anon…. 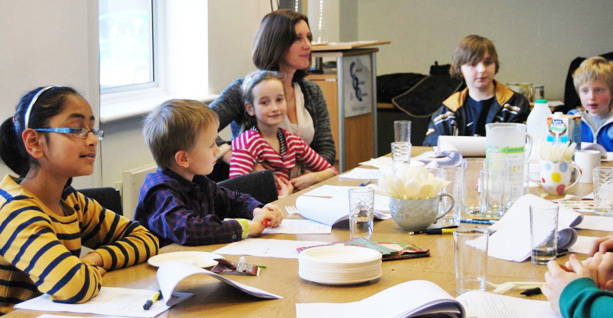 Meanwhile, if you would like to know more about our new Childrens’ food category – read Christine Bailey’s account of the kids’ judging session (for kids, by kids…) – and if you are interested in how those gluten-free beers are coming along, check out Sue Cane’s report on the beer judging session. FreeFrom Food Awards media saturation!!! Freefrom food and the FreeFrom Food Awards will feature both in Radio 4’s Food Programme on Sunday (18th) at 12.30pm, repeated on Monday (19th) at 3.30pm and….. on BBC 1’s Breakfast on Monday (19th) at 6.20am and 8.20am and, we hope, at 7.20am!! As you might imagine, we are all very excited…….. Do please tune in!! 20th March. In case you did not catch either of these – we would like to report great coverage for ‘freefrom’ – really raising the profile. And another big article on freefrom in today’s Daily Mail. The Food Programme gave particularly good, in depth coverage of the the whole area of food allergy and intolerance – if you missed it, you can’listen again’or download it as a podcast from the BBC site. 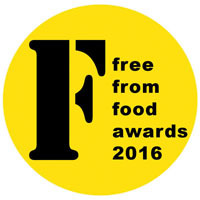 FreeFrom Food Awards shortlist is out!! Hectic – but hey – that’s what it’s all about!! 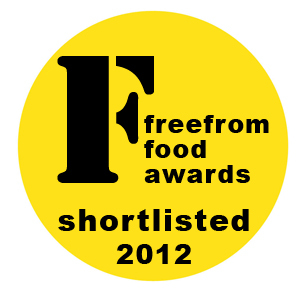 The 2012 FreeFrom FoodAwards shortlist was published this morning – and almost instantly our internet connection went down! So all those keen shortlisted manufacturers, dying to get their hands on their logo and a press release to send out to their local papers, were left frustrated while we railed at Virgin Media!!! Never mind – R. Branson came to the rescue and the outage only last for an hour, to be followed by another half hour this afternoon. (And how scary is it when your internet connection goes down and you realise that your whole life now depends on that slender little bit of cable sticking out of the pathway in front of your house….) So, between outages, press releases and logos whizzed through cyberspace while Twitter went into a frenzy of ‘freefrom’ Tweeting and Facebook buzzed with congratulations. I shall now say no more about it as what you need to do is to go look on the awards site where you will find all the shortlisted products (with links to their websites) – and then have a read of some of the blog posts by our wonderful blogger judges – and you will find links to them on the press page on the awards site. They will give you much better ‘low down’ on the whole operation than, in all modesty, I could! Addendum…. 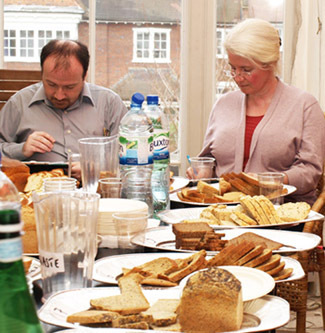 Sue Cane, our wonderful coeliac beer-and-everything-else judge has written a lovely report about this year’s gluten-free beer judging – click here to read. 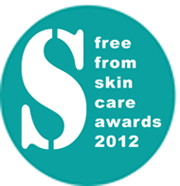 Some ‘freefrom’ food award statistics – and ‘freefrom’ skincare awards news! I am not very good on statistics (something to do with me not being very good at maths?….) and spend far less time than I should on checking which of you read what on our sites. But yesterday Cressida emailed me some ‘comparative data’ for entries into last year’s and this year’s FreeFrom Food Awards. I share them only because I feel that they offer a small window on how the freefrom food offer is developing. The most encouraging for those who have long bemoaned the dearth of freefrom convenience meals, is that the entry for the ‘Savoury pies, ready meals, pizzas etc’ category has effectively doubled, to, at nearly 40 entries, the largest entry this year – a massive improvement on a mere three years ago when we were struggling to reach the half dozen. Of course we do not yet know what they will taste like. For that you will have to wait until the publication of the shortlist in March and, more comprehensively, for our judging tables after the presentation in late April. Other categories that are creeping up are ‘food service’ (still a massively under-exploited opportunity here for freefrom manufacturers) with just two more entries this year, ‘ingredients’ (one extra entry), chocolates and sweets (two extra) and plant (soya, oat, rice, coconut, nut etc) ‘milks’, spreads, ‘cheeses’ and ‘ice creams’ (three extra). Making a bit more of a spurt are the Innovation Award (an extra five entries this year), ‘scones, sweet biscuits, Bakewells, flapjacks, cookies etc’ (also up by five) and the ever popular freefrom cake category (up by 8 entries). Meanwhile, the number of gluten-free beers entered remains the same and free-from puddings seem to have almost disappeared off the market (maybe they all went into the Christmas category…). 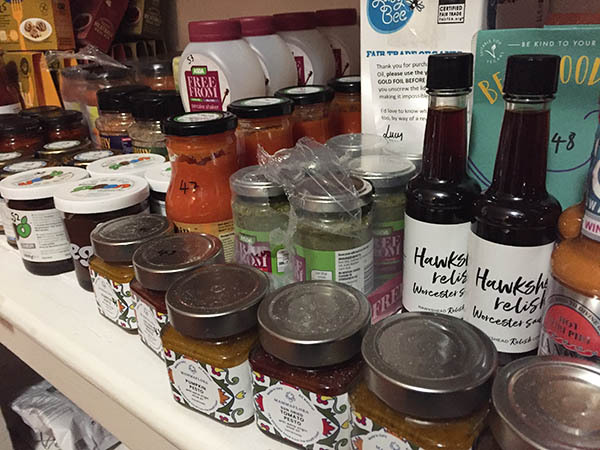 However, we are delighted to have nearly 20 entries for the new ‘raw food and superfood’ category including nut butters, dehydrated kale chips, raw chocolate brownies, mesquite flour, beetroot juice, ‘cheesecakes’ and chocolate making kits! Judging takes place over the next two weeks, a shortlist will be published on March 1st and the presentations to the winners will take place on April 17th. Meanwhile, over at SkinsMatter…. the first ever FreeFrom Skincare Awards have gone off with bang! While our freefrom food bloggers are busy filling the blogosphere with freefrom food news (see links here), beauty cyberspace is equally a-buzz with news about the skincare awards (see links here). Indeed, I am getting seriously worried about the health of our lovely student intern, Amy’s degree as she is spending so much time processing FreeFrom Skincare awards entrants! My task is to organise the wonderfully enthusiastic Beauty Bible testers who will be subjecting the shortlisted products to rigorous assessments in March and April. Entry for the skincare awards closes on 24th February (with a 10% discount if you can get your entry in before the 31st January) with the shortlist being published in mid March and the awards presented at the Allergy and FreeFrom Show in late May.